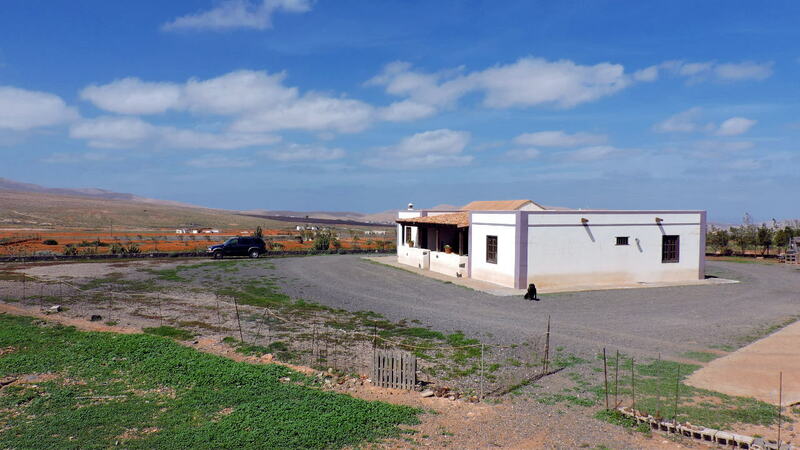 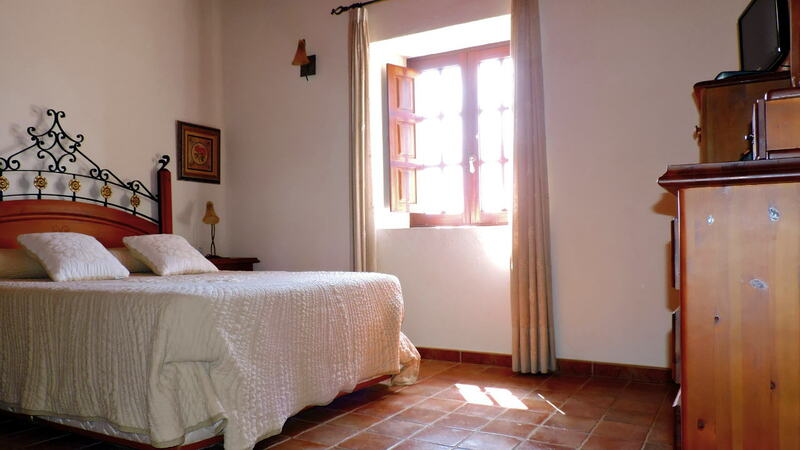 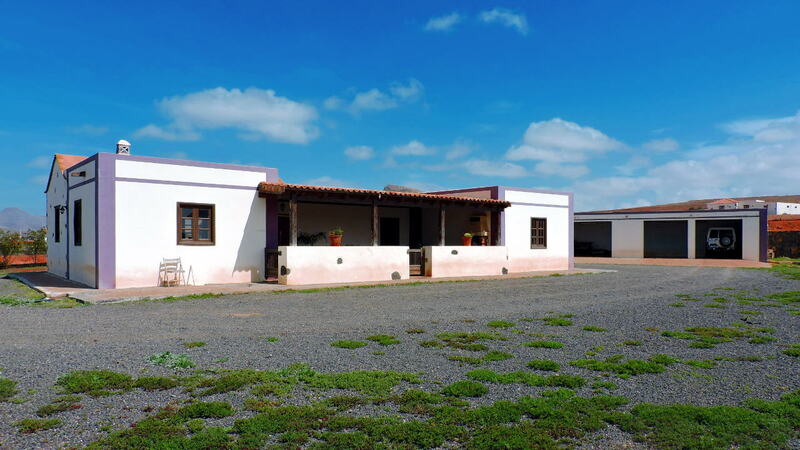 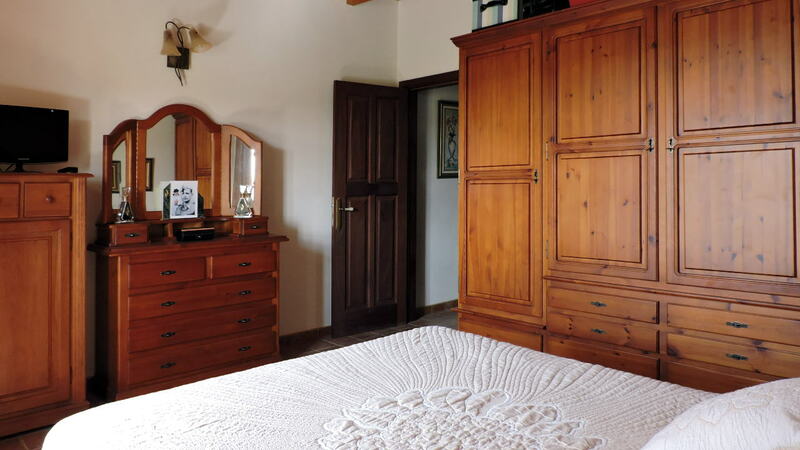 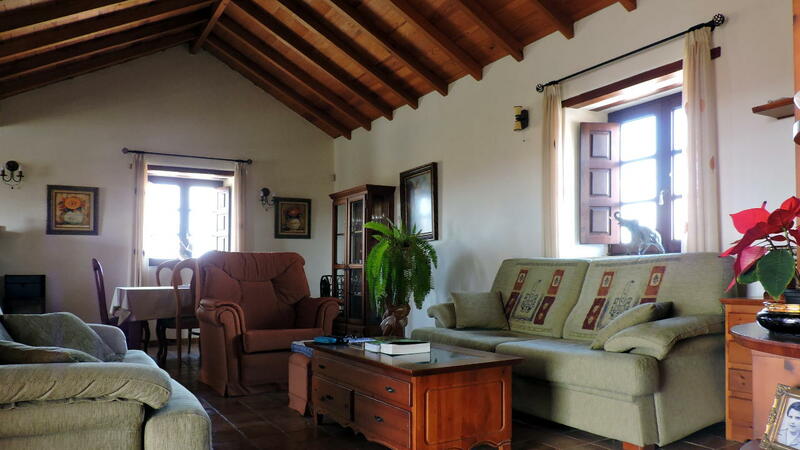 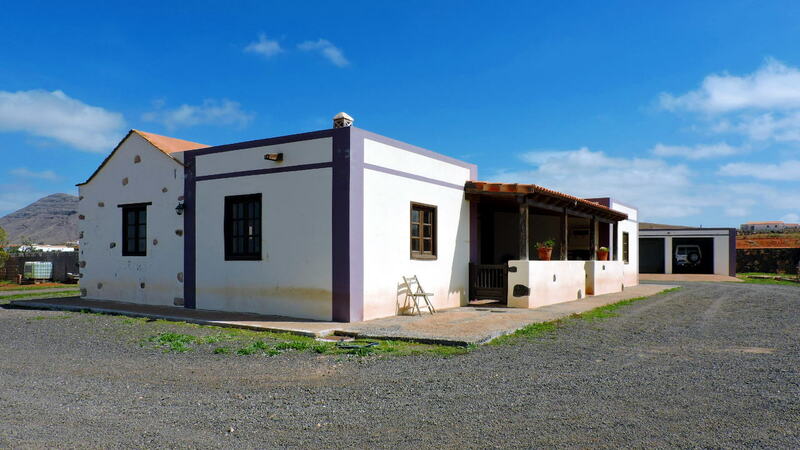 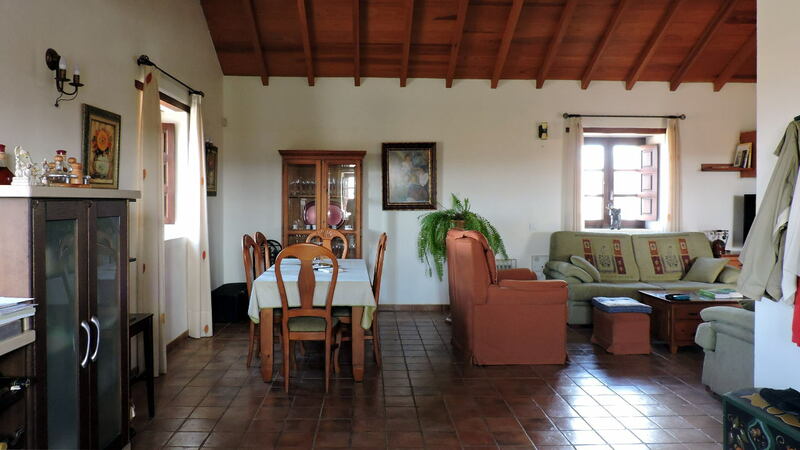 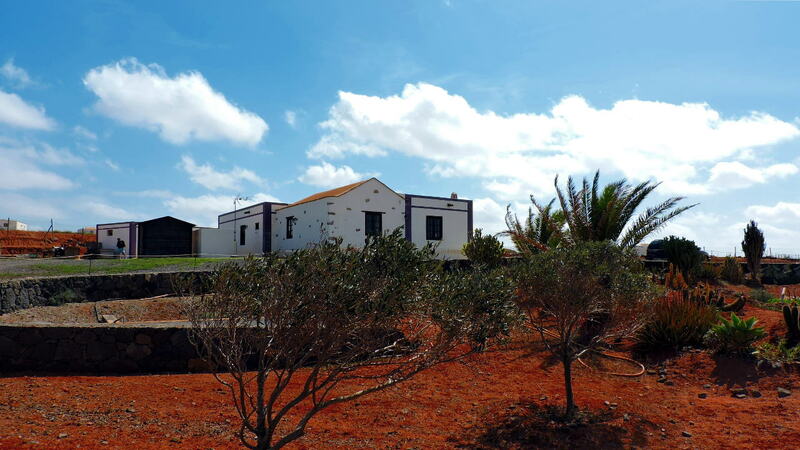 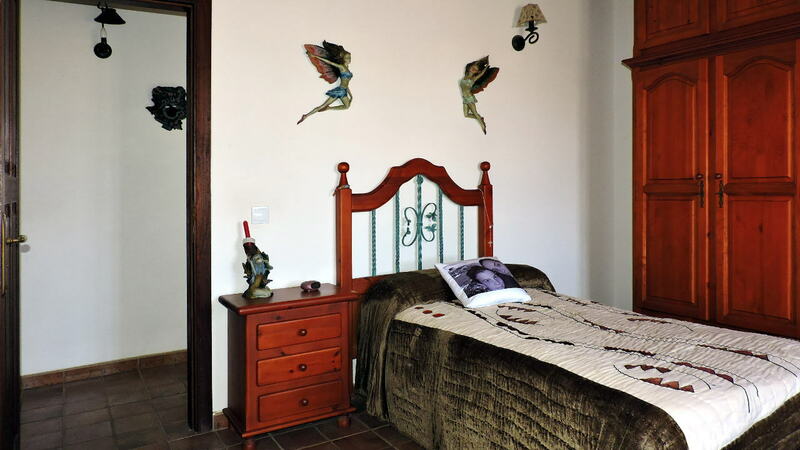 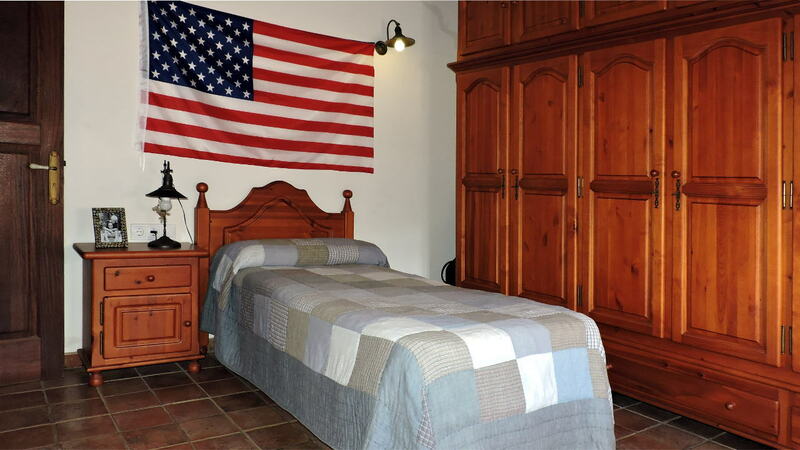 The house is located in Ampuyenta, a town situated just 5 km from the City of Antigua, 13 km from the capital Puerto del Rosario and 20 km from the international airport of Fuerteventura. 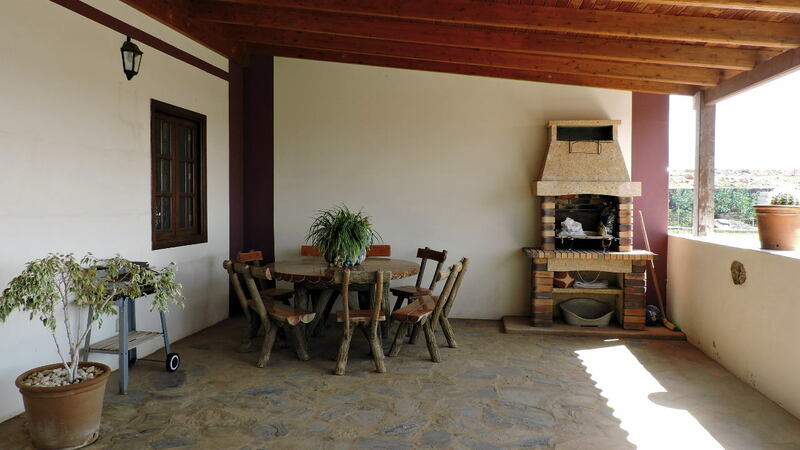 The villa, built in a rustic style, consists of a large porch with a fireplace at the entrance, one living room with a kitchen, three large bedrooms and two bathrooms. 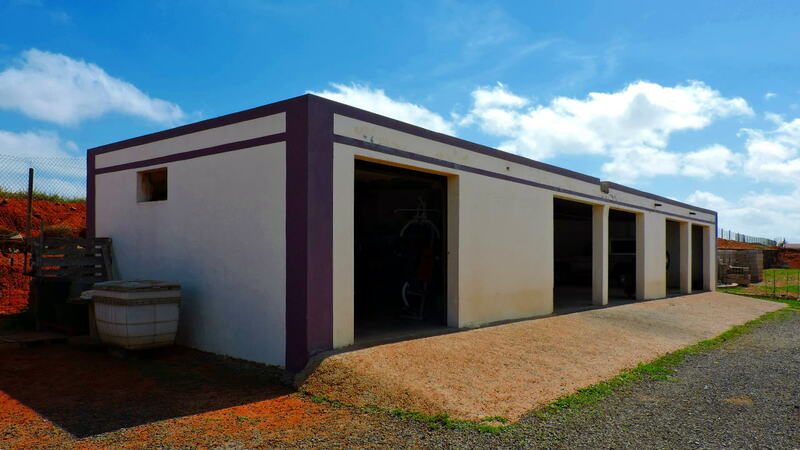 It has a garage for 4 cars and a large plot of 10,000 square meters where you can build a swimming pool. 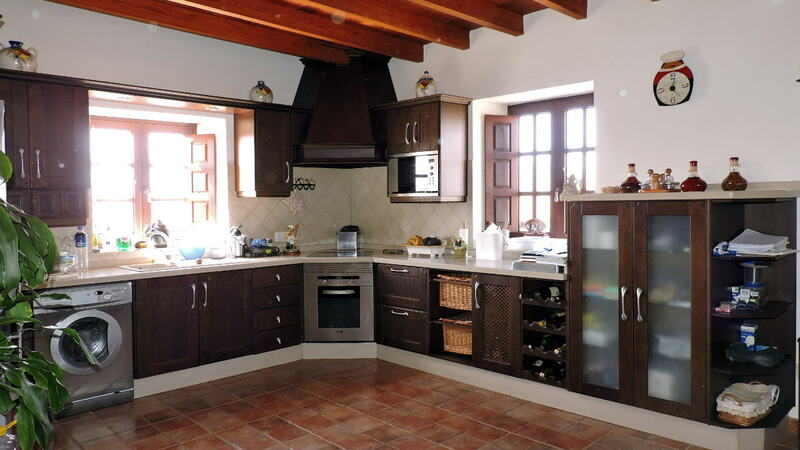 The materials used and the finishes are of high quality: the doors are made of solid wood, the roof is covered with wooden beams and lintels are also wooden. 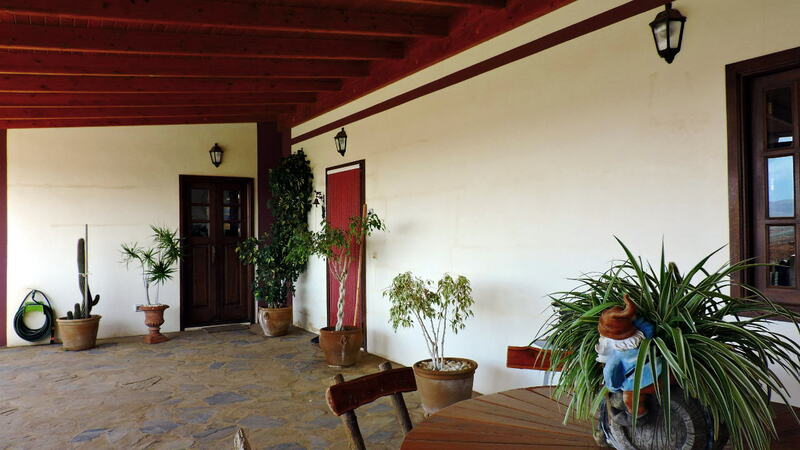 The property is fenced by a low stone wall and there is a drip irrigation system installed in the garden. 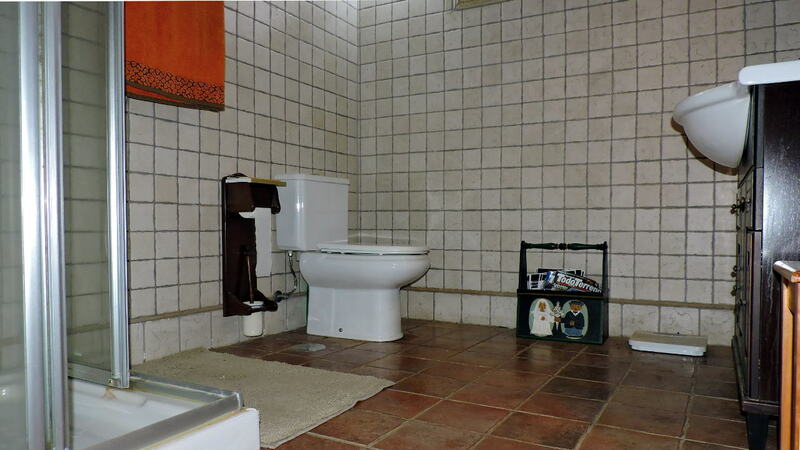 The house is equipped with a water storage and a water purifier. 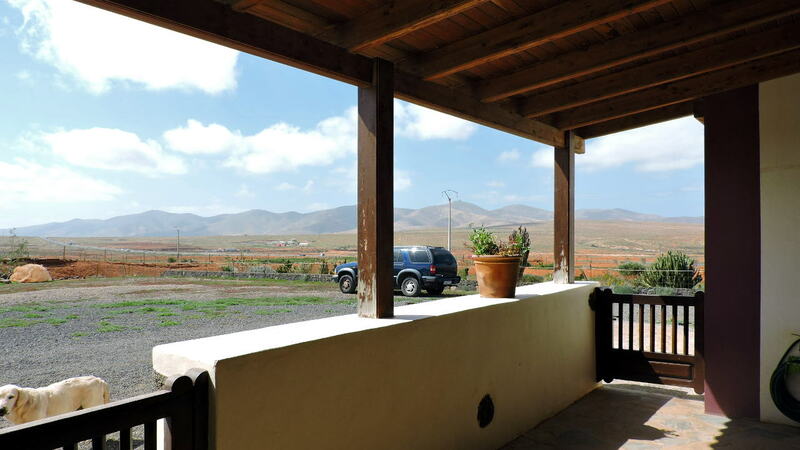 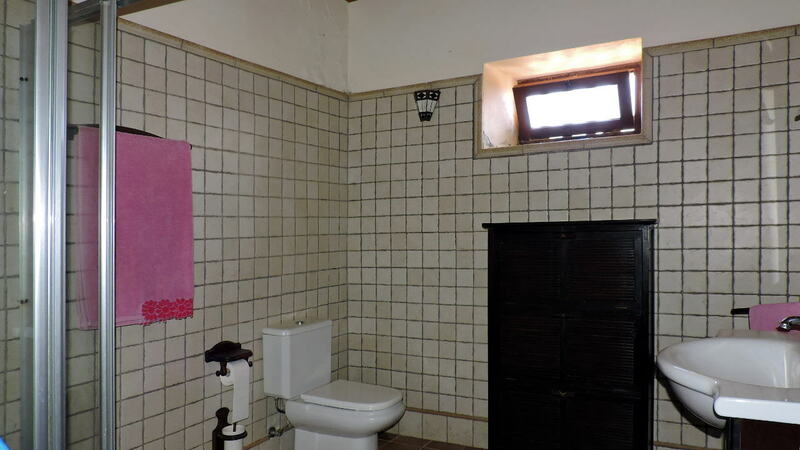 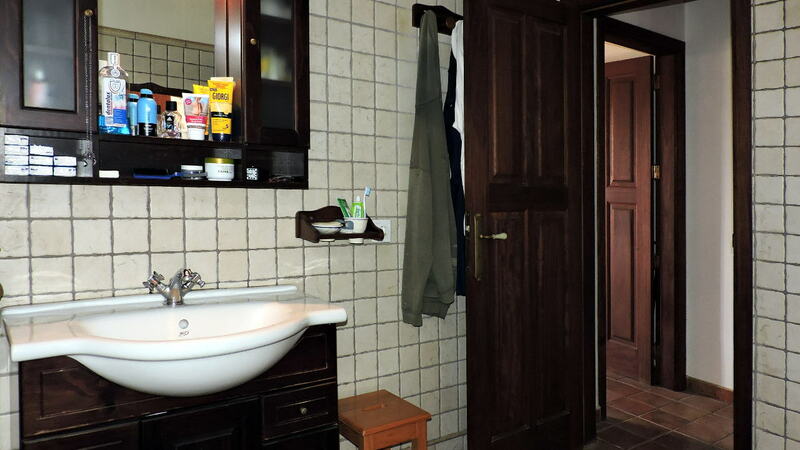 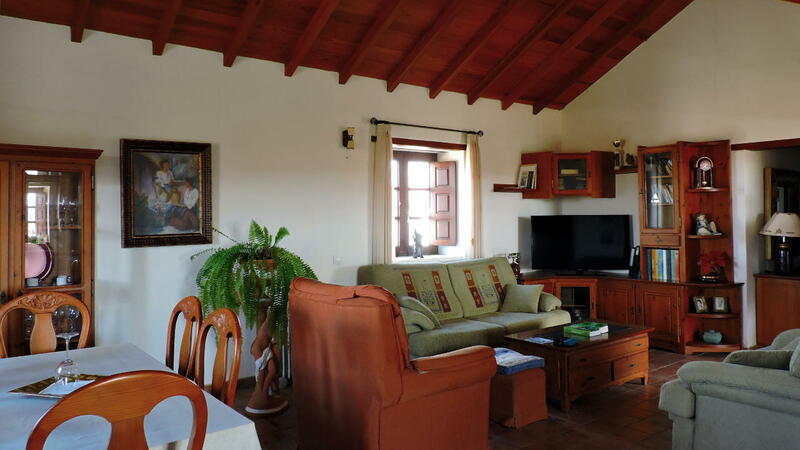 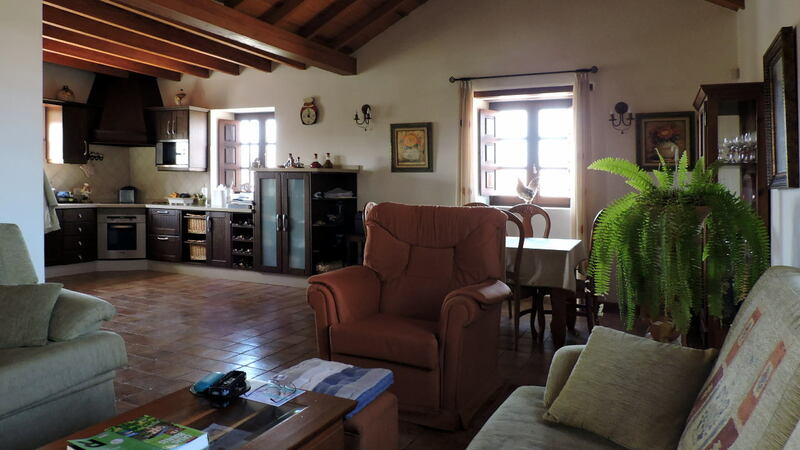 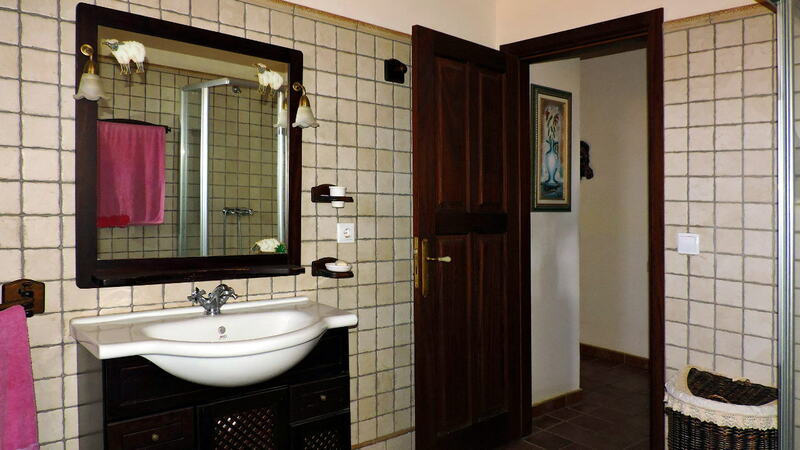 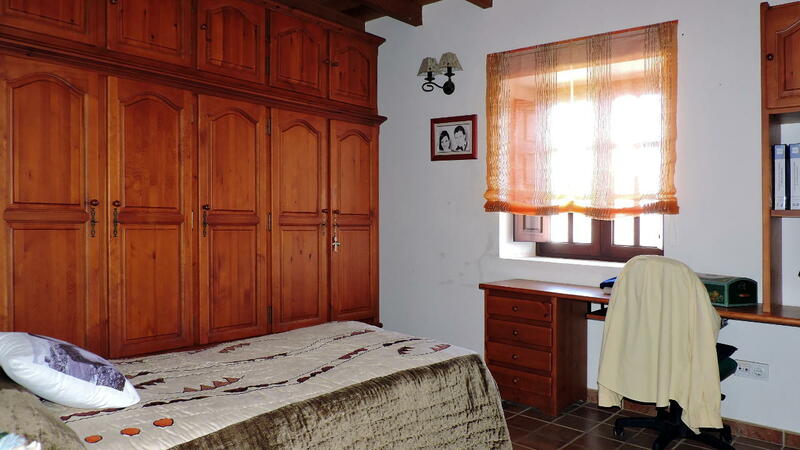 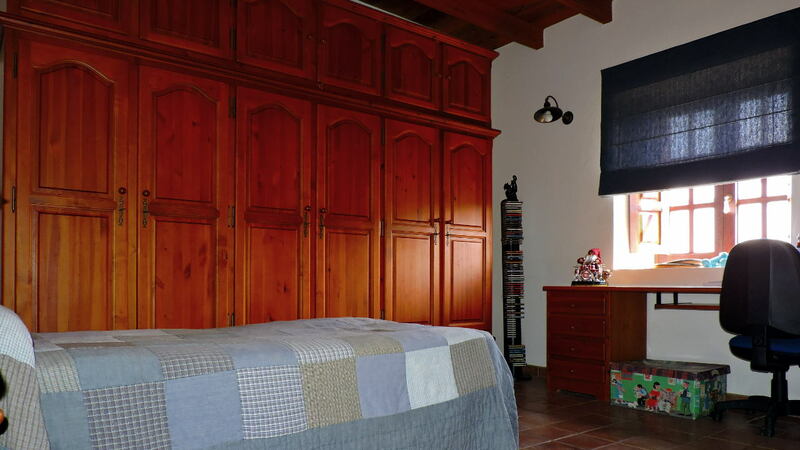 The house has a surface of 147 square meters and is on sale fully furnished at the price of 260,000 Euros.